Gartner expects smartphone sales to fall slightly in 2019 but believes the market will return to growth in 2020, buoyed by the arrival of foldable devices and 5G handsets. Analysts at the firm predict shipments will fall 0.5 per cent from 1.81 billion to 1.8 billion this year, before rising 1.2 per cent to 1.83 billion during the following 12 months. The figures are the latest in a series proclaiming modest or declining growth in the sector, fuelled by increasing prices, a perceived lack of innovation, and market saturation. Gartner says vendors will have to get used to the fact consumers are holding onto their devices for longer, predicting the average lifetime of a high-end smartphone will extend from 2.6 years to 2.8 years by 2023. The first tranche of foldable handsets were revealed at Mobile World Congress (MWC) earlier this year. It is thought these will only attract a niche audience to begin with as vendors launch experimental devices to see how consumers use them in real-life situations, but could account for five per cent of the market by 2023. 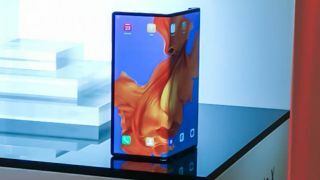 “We expect that users will use a foldable phone as they do their regular smartphone, picking it up hundreds of times a day, unfolding it sporadically and typing on its plastic screen, which may scratch quickly depending on the way it folds,” added Cozza.